My aunt has nicknamed me, “Noah”. The animals are pouring in here two by two (or more) at a time. The first farm animal we acquired is the only one who came alone. His name is Roman and he’s livestock guardian dog cross. I wish we had gotten two though because a wolf was recently spotted just around the corner from us. I think Roman is going to need backup and he’s not going to get it from our scaredy-cat Great Dane, Atlas! 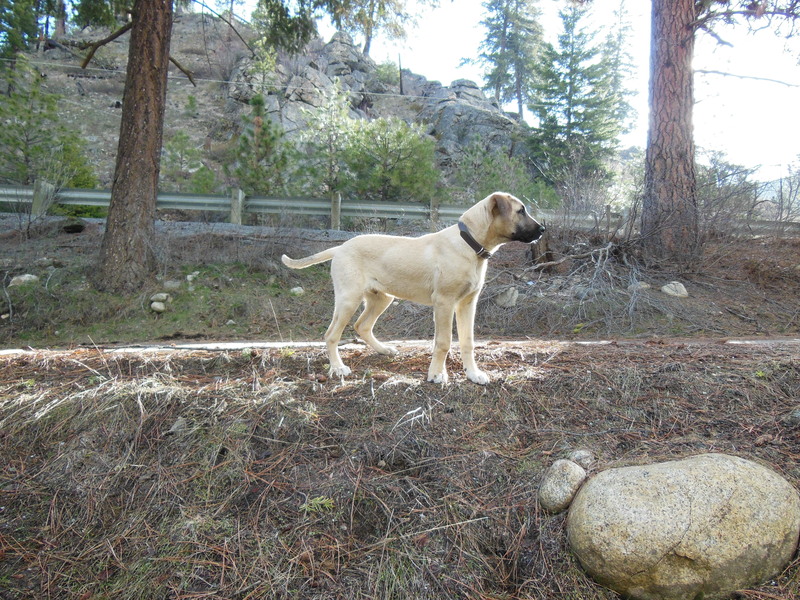 He’s a Kangal/Boerboel and is 7 months old now. We LOVE him. He’s so laid back. He sticks to the front yard like glue (we have no fences yet) and is usually found laying next to the goat yard. He lets the chickens eat his food but won’t even let Atlas look at it. The next animal I was planning on was Icelandic sheep. I read an article called Icelandic Sheep: An Old Breed with New Possibilities by Susan Mongold and was sold. I wanted their wool and their meat. My husband and I discussed whether to go with registered or unregistered stock and chose registered. We decided it would be more worth our time. 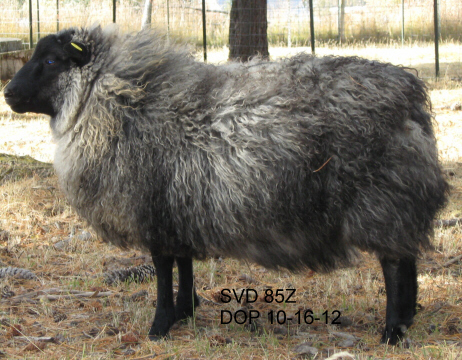 Also, the sheep we found at Vizual Delite, bred by Sindi Loughlin, are exceptional. Her lambs, at 5 months old, are the largest I’ve found. And they’re just gorgeous. Look at this 2012 ram. After we got Roman, however, I felt the urgent need to get him some farmy friends. Being a young livestock guardian he needs to be with stock. I was waiting for Sindi’s lambs who wouldn’t be ready to pick up until July or so. It was February and I started looking for some full grown sheep to buy. I also began reading again about dairy cattle. I had promised Daniel that I wouldn’t get a cow for a year or so when we were ready. But I started thinking maybe I could get a calf now… Daniel was still not liking the idea. He was fairly hesitant about a cow in general. I was too after reading some things about the expense of feed and vet care. In my reading, I came across some comparisons between cows and goats. One family switched from store-bought cow’s milk to goat’s milk and their kids didn’t even know it because they put it in the same container. I also ready somewhere else that goat’s milk tasted just like cow’s milk. I couldn’t believe it. I researched what kind of goat to get. I read that Toggenburg milk can be kind of “flavorful”. The breeds people seemed to like were Saanen, Alpine, Oberhasli, Nubian and Dwarf Nigerian. When I read more about Dwarf Nigerians, I decided to look for that breed on craigslist. I found 5 month old doelings a couple hours away and went zipping down the hall to talk to Daniel. I was bouncing up and down in excitement. He agreed and I made the call. I got up at 4 am the next morning and we left at 5. 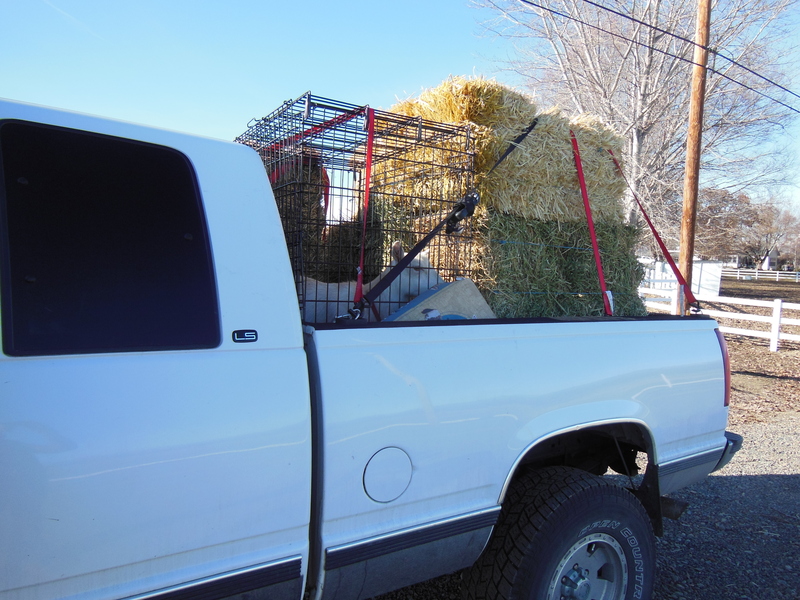 We arrived home at 5 pm with a 4 year old doe (who I would have to milk that night), her 5 month old daughter, 7 bales of alfalfa, 3 bales of oat straw, a bag of sweet feed, and other essentials. This entry was posted in Goats, Happenings and tagged Daniel, diary, Goat, goats, Great Dane, Icelandic sheep, Livestock, Livestock Guardian dog, Milk, Oberhasli, Roman. Bookmark the permalink.